This coming Monday, Cuyahoga Community College will welcome the Higher Learning Commission’s six-person accreditation review team. The visit is an important part of the regular eight-year review cycle required by the HLC’s Academic Quality Improvement Program (AQIP), through which Tri-C maintains its accreditation as an academic institution. As a peer-reviewed program with entry limited to the highest-performing institutions accredited through the HLC, AQIP requires member schools to demonstrate continuous improvement against five criteria, outlined and highlighted in the earlier articles of this series. During its two-day visit, the HLC team — comprised of officials from other colleges who have completed the HLC’s peer-review training program — will speak with numerous people throughout Tri-C to determine whether the College has exhibited the continuous improvement required. The HLC group will visit the Metropolitan Campus on Monday and the Westshore Campus on Tuesday. On Monday, they will attend discussion sessions covering four of the five AQIP criteria (Mission; Integrity and Ethics; Teaching and Learning: Quality, Resources and Support; and Teaching and Learning: Evaluation and Improvement). Apart from the criteria meetings, the group will also spend parts of Monday in organized forums with students, faculty and campus leadership at Metro. On Tuesday, the HLC team will begin their day with a discussion on the final AQIP criterion: Resources, Planning and Institutional Effectiveness. Following a pair of strategic challenge discussions on issues facing the College, the group will meet with Westshore Campus students, faculty and leadership. The HLC will also spend part of Tuesday meeting with Tri-C President Alex Johnson and all four campus presidents, as well as with members of the College’s Board of Trustees. The visit will conclude with an exit conversation scheduled to include Dr. Johnson and key members of Tri-C leadership. Following the visit, the HLC team will spend Wednesday writing the accreditation report, which College leadership will have an opportunity to review solely for fact-checking purposes. The verified report will be submitted to the HLC’s institutional action council, with final word on Tri-C’s accreditation status expected sometime in early summer. 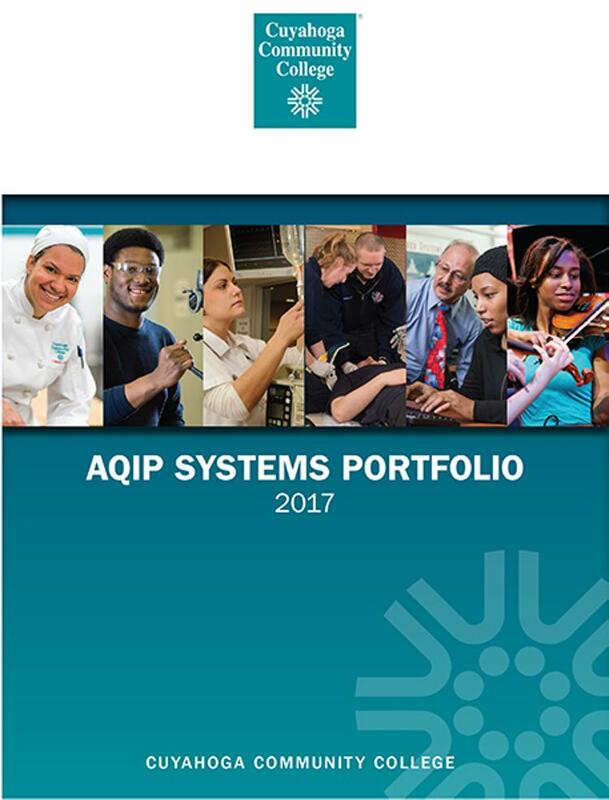 This is the final article in a seven-part series examining how various programs and people throughout Tri-C each play an important role in meeting the AQIP criteria and, by extension, assist the College in remaining accredited. To read the other articles in the series, visit the College's accreditation page.